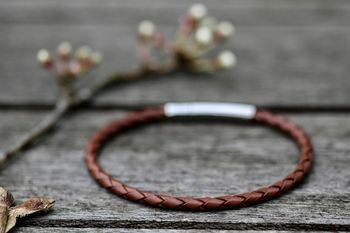 This mens plaited leather bracelet makes a wonderful gift - a rustic design perfect for him to wear everyday. 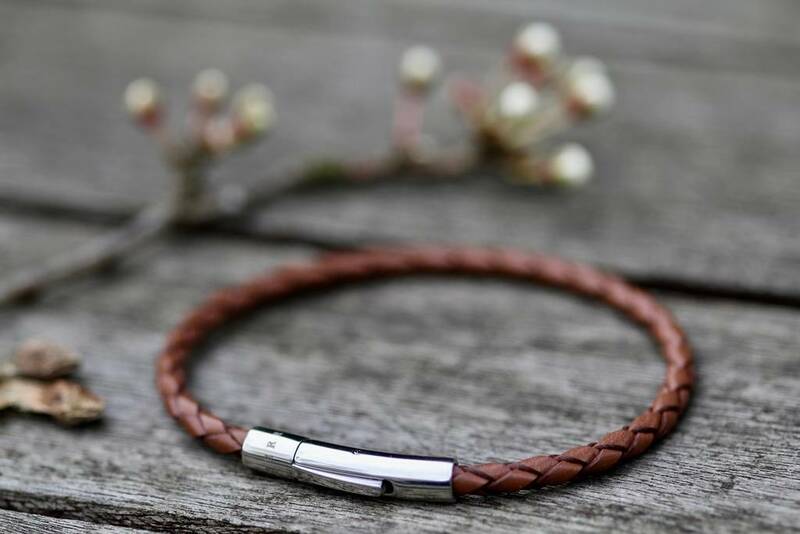 Our mens tan leather bracelet has been handcrafted in the Joulberry studio to fit a standard male wrist (18-20 cms). 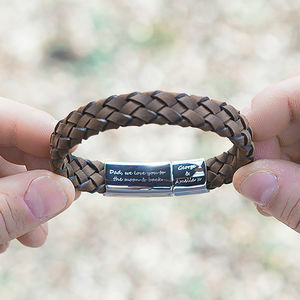 Finished with a stainless steel lock-in clasp this bracelet is secure and comfortable for him to wear everyday. 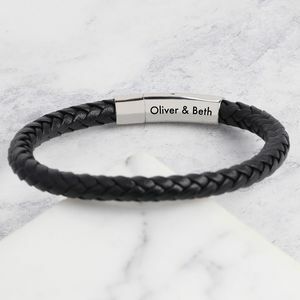 Presented in a branded Joulberry box his bracelet will also be sent with care instructions and, if requested, can be gift wrapped so its ready to be gifted the moment it arrives. 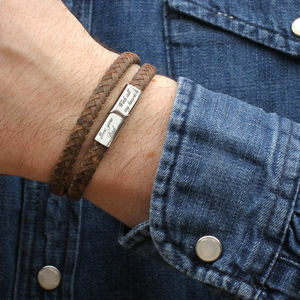 This product is dispatched to you by Joulberry.